During her first internship for ConocoPhillips in Linden, N.J., Billadeau worked as a project development intern on a construction site for a $125 million project at an operating refinery. She jumped at the chance to explore New York City and New Jersey during the summer of 2010, checking out everything from Broadway shows to the museums. 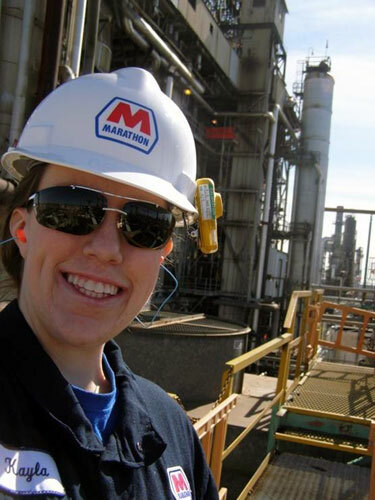 Kayla Billadeau worked with Marathon Petroleum in Robinson, Ill., where she maintained the pump reliability program and report at the refinery. “My internships have provided me with great work experience and an opportunity to see the country,” says this St. Louis native. That fall, she signed on with Marathon Petroleum in Robinson, Ill., where she maintained the pump reliability program and report at the refinery. In summer 2011, she returned to ConocoPhillips again as a project development intern, working this time in Anchorage, Alaska. 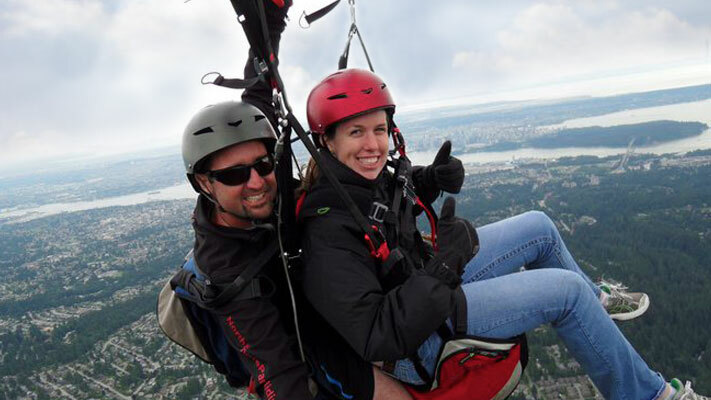 That included whale-watching, fishing, camping and hiking, an Alaskan cruise, and even paragliding in Vancouver. 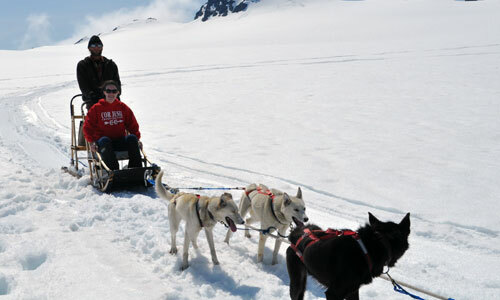 “Two of my more memorable experiences were taking a helicopter ride onto a glacier to dogsled, and visiting the North Slope with work,” she adds. In spring 2012, Billadeau joined up with Walt Disney World in Florida for four months as a quality engineer intern, where she wrote the procedure on how to rebuild the DINOSAUR attraction vehicles at Disney’s Animal Kingdom Theme Park. Billadeau’s most recent internship was again with ConocoPhillips, working this time in Houston where she developed a produced water handling strategy for the facility in Algeria. Kayla Billadeau took a helicopter onto a glacier to ride in a dogsled while working for ConocoPhillips in Anchorage, Alaska. With three internships at ConocoPhillips, it’s understandable why Billadeau’s accepted a full-time offer with the company in a selective training program for project engineers and project managers. “The job will provide me the opportunity to travel abroad early in my career,” she adds. Learn more about internship opportunities for Missouri S&T students. This is so awesome! Way to go Kayla- I am so happy for you!